The JE Audio VL10.1 preamplifier, which I wrote about in May 2011, was one of the most impressive and surprising products I’ve reviewed in years. What impressed me was the sound: natural, detailed, smooth, and transparent -- a real high-flyer. What surprised me was that it was a tubed design, had a few operational quirks, and is made by a Hong Kong company I’d barely heard of. The odds didn’t seem in the VL10.1’s favor, yet it won my audiophile heart. Now comes JE’s VM60 mono amp, which sells for $6400 USD per pair. Price-wise, and taking into account the rest of the products in JE’s line, the VM60 can be considered the VL10.1’s companion. But is it as impressive -- and as surprising? The VM60 measures 12.7”W x 4.7”H x 15.4”D and weighs 45 pounds -- a lot of weight for a small device, largely accounted for by the case’s thick metal plates and corner columns, and the transformers at the rear. I admired the solidity of the VM60’s build -- it’s sturdy and well finished. The only control on the front panel is the Power button; on the rear panel, all you’ll find are an IEC-compatible power-cord inlet and balanced and single-ended inputs. The two pairs of speaker-binding posts (one each for 4- and 8-ohm speakers) are at the rear but on the top panel, to the right, behind the output-transformer housing. While that description of the posts might make it sound as if they’re in a cramped spot and hard to access, the opposite was true. Attaching spade- or banana-terminated speaker cables to the VM60s was a snap -- you can go at it from the top, not the rear. JE Audio doesn’t make outlandish claims for the VM60, but one of the things they point to is what they call their patented Dual Balanced Feedback Topology (DBFT), which has to do with the amp’s completely balanced circuit. Ideally, the VM60 should be connected to a preamp with a balanced connection, to maintain a balanced circuit throughout the signal chain. 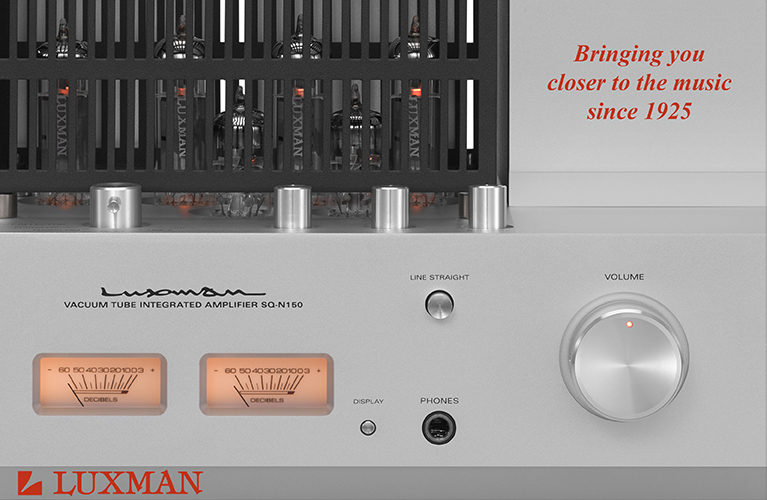 The VM60’s first stage employs two 12AX7/ECC83 tubes, which feed a second stage comprising a single 6DJ8/ECC88 tube. JE says that this second stage further amplifies the signal after the initial stage, and provides a low output impedance to drive the output stage: four KT88 tubes and a balanced output transformer. They say small amounts of feedback are applied at the second stage to set “the signal gain of the combined first two stages,” and again at the transformer outputs to “further improve the bandwidth, distortion and output impedance of the overall amplifier.” As its name implies, the VM60’s claimed power output is 60W into 8 or 4 ohms, with <1% THD. The tubes are auto-biased; other than replacing them when they wear out, there’s no finagling the user has to do. The VM60 starts up slowly and smoothly: a press of the Power button is followed by a 60-second mute phase, to prolong the life of the tubes and the circuit’s other components. A metal cage is supplied to protect the tubes from damage. The JE Audio VM60s were in my system far longer than planned, largely because of my enormous backlog of review gear, but also because John Lam insisted that he was in no rush to have them reviewed. Lam owns JE Audio and is the chief designer. Still, I took way too long, which was a bit unfair to JE, but it did result in my getting a lot more perspective on what the VM60 could do -- I ended up using them with a variety of speakers and electronics, particularly preamps. In terms of preamps, the VM60 worked extremely well with JE’s own VL10.1 ($5000), but just as well with Simaudio’s Moon 350P ($2500) and Moon Evolution 740P ($9000), and EMM Labs’ PRE2-SE ($15,000), all of which I plugged into the VM60s’ balanced inputs. While the VL10.1 might seem a natural companion to the VM60, I found nothing that would keep someone from using the VM60s with another company’s preamp, tubed or solid-state. Speaker matching was not so clear-cut. The VM60s were around while I was reviewing some pretty incredible loudspeakers, ranging in price per pair from $1499 (KEF’s LS50) to $50,000 (Vivid Audio’s Giya G2). 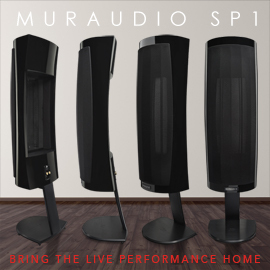 Between those, speakers such as PSB’s Imagine T2, AudioSolutions’ Rhapsody 80, Music Culture’s RL21, and PMC’s twenty.24, among others, made it into the mix. I tried all of these speakers on both the VM60s’ 4- and 8-ohm posts, using Nirvana S-L or Siltech Classic Anniversary 330L speaker cables. The VM60s worked very well with all of these speakers, even the big Giya G2, which surprised me -- it’s a five-driver, four-way design capable of almost full-range performance -- but some speakers worked better than others. The VM60s worked least well with the KEF R500s -- which are a little fat in the bass and seem to like the iron-fisted grip and control of a good solid-state amp -- but very well with the PMC twenty.24s, which have a fairly tight, articulate sound throughout the audioband that nicely complements the bit of richness and bloom that tubes add to the sound. But through the VM60s, the different sounds with the different speakers all had something in common: all were superbly clean through the midrange, with great transparency and openness, pristine highs, good bass weight, and decent low-end control. The width and depth of the stage were also strong points. I also learned that the VM60 doesn’t wear its tubes on its sleeve, as does the Copland CTA 506 ($6000), which I also recently reviewed. The JE’s midband was richer and more robust than that of a typical solid-state amp, but not as much so as the CTA 506’s. The Copland also sounded a little more powerful, which is no surprise -- it uses KT120 tubes, and is claimed to output 90Wpc. In the VM60’s favor, though, the pair of them sounded more open and transparent than the CTA 506, giving a better view of the recording and creating a larger soundstage. The VM60s and the CTA 506 were both a little noisy -- if you use tubes, you can expect to hear hiss from the speakers when nothing is playing, even from a few feet away. But with both models, that hiss was masked the moment music began to play at any appreciable level. It was when I hooked up the JEs to the Tannoy Definition DC10A speakers ($16,000/pair, review forthcoming) with the Siltech cables that my perception of what the VM60 could do really changed. All the same traits remained, but dynamic contrasts increased considerably, the stage was broader and deeper, and the bass went from full to downright explosive. 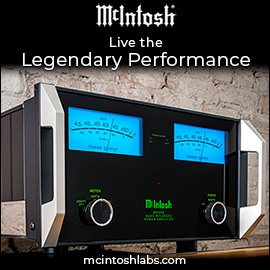 What’s more, the amps sounded more powerful, as if their model name could be changed to VM160. The Jacques Loussier Trio’s jazz version of the Allegro of J.S. Bach’s Brandenburg Concerto No.5, from The Bach Book: 40th Anniversary Album (16-bit/44.1kHz FLAC, Telarc), leapt into my room with powerful, realistic-sounding drums, cymbals that shimmered with life, and a piano rendered with supreme clarity, perfect tonality, and ideal weight. The placement of instruments on the stage was hyper-precise, with the depth of stage particularly easy to discern. I never got quite this sound with any other speaker I tried with the VM60s; though the PMC twenty.24s came close, they didn’t have nearly the dynamic range, presence, and weight of the DC10As, which are much larger speakers. Which brings me to an important point. The VM60s were somewhat sensitive to the speakers they were matched with. 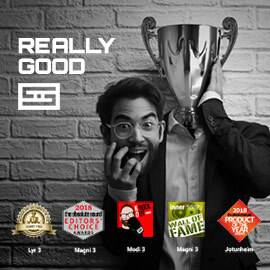 John Lam indicates that speakers with a sensitivity of 88dB/W/m or above should be best suited, but I think a good match will also be based on the load the speakers present. When we had the twenty.24 measured, we found that its sensitivity is only about 85dB, which isn’t that high. Tannoy claims that the DC10A’s sensitivity is 93dB, which doesn’t seem entirely unreasonable, given that these speakers can really sing with very little power. But neither speaker’s impedance drops below 8 ohms, which makes each an easy load. (The Vivid Giya G2’s load stays way above 8 ohms from about 200Hz up, which I think helps explain why the VM60s worked well enough with them.) Actually, load sensitivity is usually a key issue with most tube-based designs. But once you’ve found speakers to pair with the VM60s, as I did in the Tannoy DC10As, prepare to be astounded. When I played, at real-life volume levels, T.V. Carpio’s cover of the Beatles’ “I Want to Hold Your Hand,” from the Across the Universe soundtrack (16/44.1 FLAC, Sony Pictures Home Entertainment), her voice soared effortlessly into my room, accompanied by a bass line that was deep, forceful, and tight. This recording’s depth of stage is inherently limited. Still, what little depth there is was well presented, which I attribute at least in part to the VM60s’ superb openness and transparency -- and the gentle warmth of the JEs’ tubes made the sound a little more tangible and dimensional instead of flat as a pancake, as it can sound through some solid-state amps. Bruce Cockburn’s guitar is at center stage in “Bohemian 3-Step,” from his newest album, Small Source of Comfort (16/44.1 FLAC, True North). 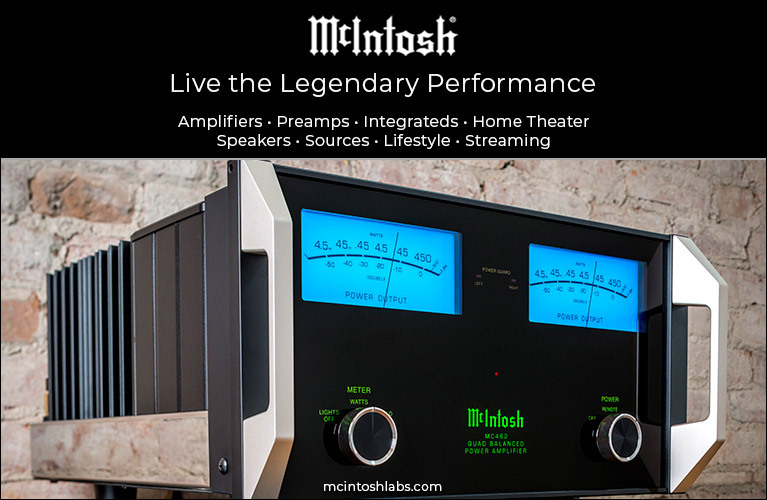 It can sound a touch steely, even bright, if your components tend to add some edge or emphasis to the highs. But it sounded fabulously incisive, clean, and alive through the VM60s and Tannoys. Ditto the cymbals, which shimmered in the same manner as in the Jacques Loussier Trio track mentioned above. The bass in “Bohemian 3-Step” thundered so solidly and impressively that I could have sworn I was listening to a big solid-state amp. In “Each One Lost,” it’s Cockburn’s rich, detailed voice that’s center stage. There was a hint more richness than I hear from a good solid-state amp, but not so much as to sound too warm or overblown. In fact, the balance struck by the VM60s was about perfect with these speakers and the rest of my system -- the sound was among the best I’ve ever heard in my listening room. JE Audio’s VM60 is built every bit as well as their VL10.1 and is similarly styled; they’re sonically similar as well. At the beginning of this review, I described the VL10.1 as sounding “natural, detailed, smooth, and transparent.” That’s how I’d describe the VM60. But I can’t give the VM60 quite the sweeping recommendation I gave the VL10.1. 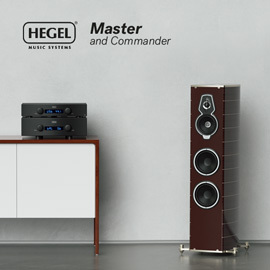 Despite the superb sonic traits and the amazing sound, they might not be the ideal amps for everyone and every system. The VM60 worked better with some speakers than with others, which is pretty much what can be said of any tube amp -- that’s the nature of these designs. Still, I can strongly recommend the VM60 to those who desire a bit of tube magic, and whose speakers will mate well with them. What I heard from the VM60s was extraordinarily good sound for the price. Price: $6400 USD per pair.